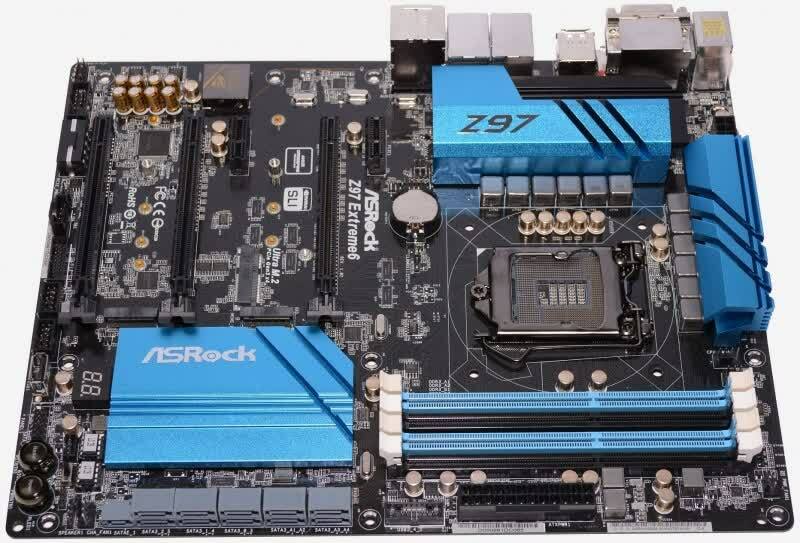 The Z97 Extreme6 is, for now, the flagship enthusiast motherboard from Asrock. The Z97 features dual Gigabit LAN using an Intel I218V PHY and a Realtek RTL8111GR controller. Sound is provided by the Realtek ALC1150 codec, which has 7.1 CH HD audio with content protection. 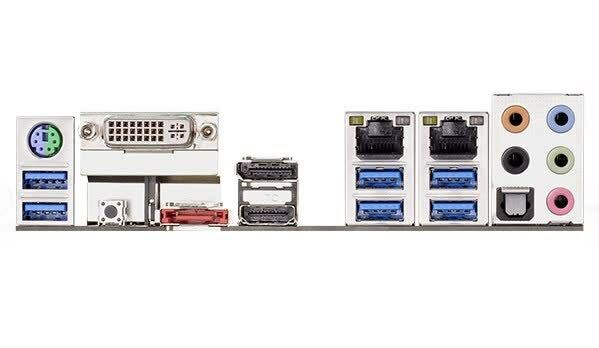 The Z97 Extreme 6 also includes three PCI Express 3.0 x16 slots, two PCI Express 3.0 x1 slots, Ultra M.2 and M.2 slots (for add-in mini PCI Express cards and SSDs), a separate PCIe power connector at the bottom (for more stability) and ten SATA 6Gb/s ports. 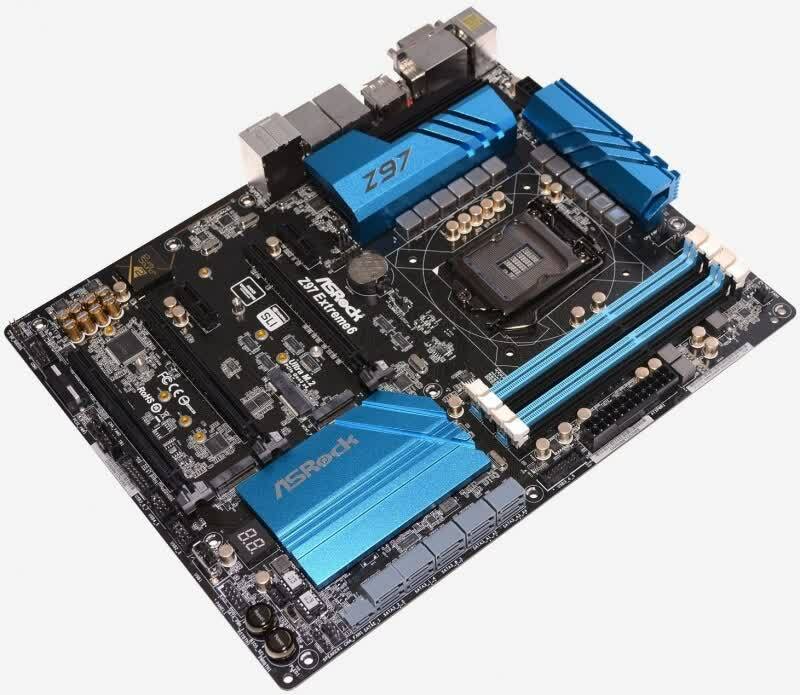 Surprisingly the Z97 Extreme6 costs just $170, which seems very reasonable given the feature set and the fact that this thing is hot off the press. Surprisingly the Z97 Extreme6 costs just $170, which seems very reasonable given the feature set and the fact that this thing is hot off the press. 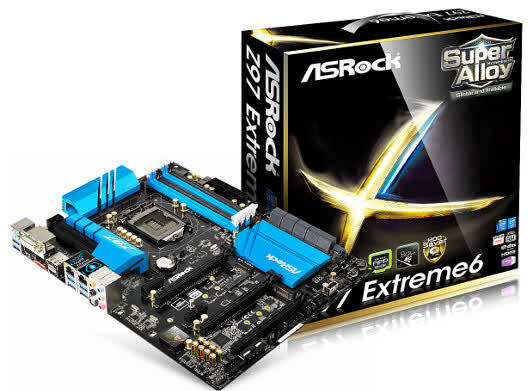 By comparison, the Z87 Extreme6 costs $160 and is also an exceptional bargain as far as Z87 boards go. 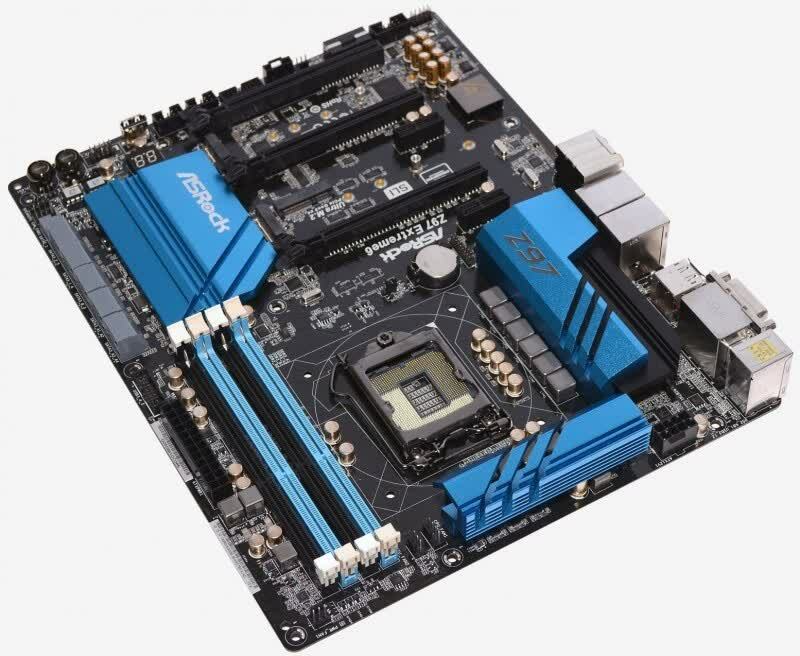 Should you be looking for a well equipped motherboard which offers a lot of interesting features as well as a great look, the asking price of 149 Euro is definitely a bargain. 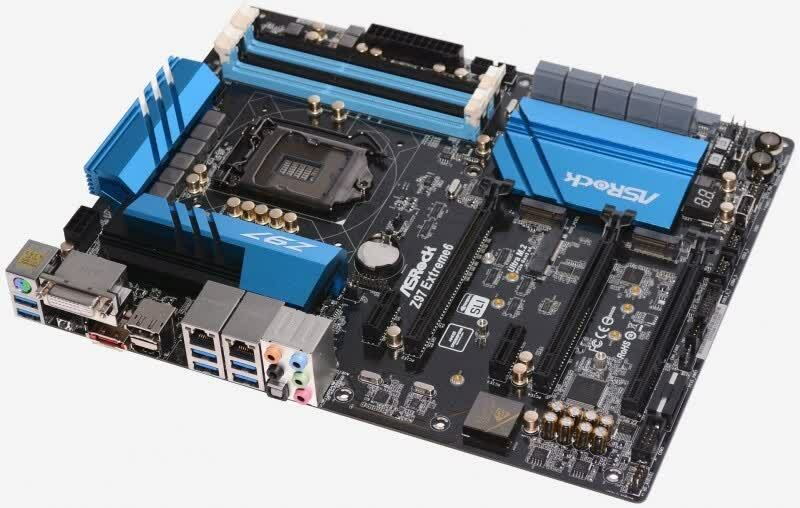 The Extreme6 is one of the boards you can use for almost any application except maybe extreme-overclocking.